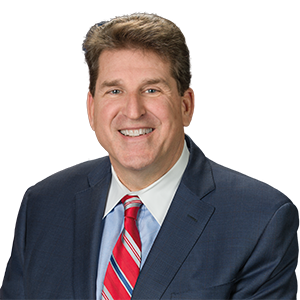 Harrisburg– The state Senate today approved a series of bills to provide sweeping improvements to Pennsylvania’s child protection laws, including two bills sponsored by Sen. Bob Mensch (R-24). “Pennsylvania’s child protection laws are long overdue for review and update. The recommendations made by the Task Force on Child Protection helped us understand what needs to be done in order to prevent and deter child abuse and neglect. The passage of this bipartisan child protection package is an important step in this critical process,” said Mensch, who chairs the Senate Aging and Youth Committee. The bipartisan package is based on recommendations of the Pennsylvania Task Force on Child Protection, created by the passage of Senate Resolution 250 in December 2011. The panel held a series of public meetings and released its report in November 2012. The Senate approved six child protection bills unanimously today. All enjoy broad support from child advocates across Pennsylvania. Senate Bill 27, sponsored by Senator Mensch, improves the exchange of information among medical practitioners and county agencies by requiring immediate reports and by allowing for follow-up reports to medical practitioners regarding the condition of the child. Senate Bill 33, also sponsored by Senator Mensch, provides employee whistleblower protection for anyone who properly and in good faith reports suspected child abuse. Senate Bill 21 makes critical improvements to the list of individuals who are required to report child abuse. Mandatory reporters include licensed health care practitioners school administrators, teachers, or other school employees, child care services providers, religious leaders, social services workers, and employees or volunteers with direct child contact in the course of their employment. Senate Bill 22 increases the penalty for failure to report child abuse by a mandatory reporter to a second-degree misdemeanor. Three new offenses are added, including intentionally interfering with the making of a report or referral of child abuse (first-degree misdemeanor), concealing child abuse to protect its’ discovery (third-degree felony) and willful failure to report while the individual has reasonable cause to believe a child is actively being abused (third-degree felony). Senate Bill 23 updates the definition of “perpetrator” and expands the definition of “person responsible for a child’s welfare.” The definition differentiates between acts of commission and acts of omission. Senate Bill 30 establishes accountability and due process protections for individuals working with delinquent children, and provides for penalties for making false reports of child abuse. Additional bills in the child protection package are still advancing in the Senate and are expected to be considered in the near future.